Hey everybody I'm having an issue with my 86 Sport constantly beeping when the ignition is on or engine running. It's three beeps then a pause, I'm having a lot of trouble finding any info on this. Except what I found below... Any and all help would be greatly appreciated! Also I did find this on rx7club.com that gives some info, but I've looked over my engine harness. Cannot find any broken or shorting out wires. 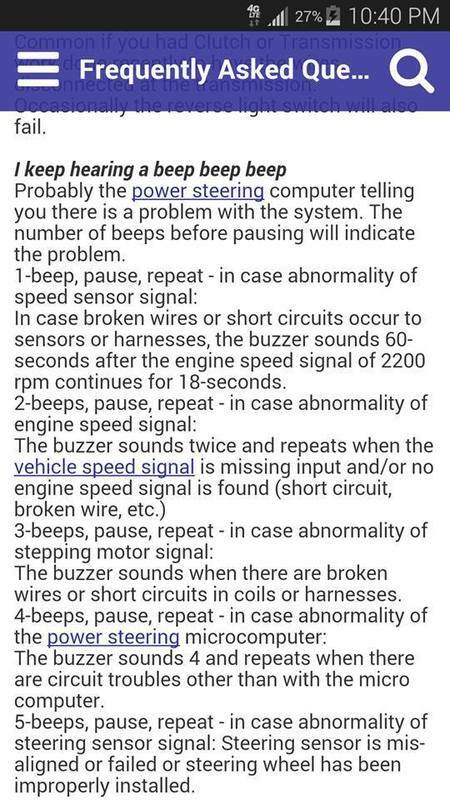 Also the car starts right up, runs and drives just fine. Has power through all the RPM range without any hesitation, so I don't know if my coils are the culprit. Anything I need to be looking at? With the previous engine it did not make this noise at all. Also there is NO POWER STEERING IN THIS CAR! Never had it, manual rack and pinion so it's not the power steering ECU going off.